Club Hotel Dolphin guaranteed to arouse all your senses. 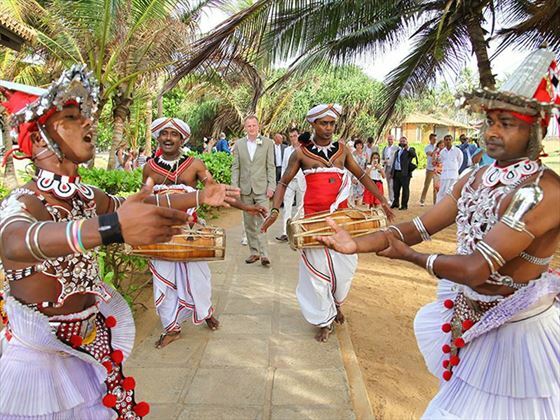 Exchange your vows on a lush green lawn as the sunsets on the horizons of the Indian Ocean. 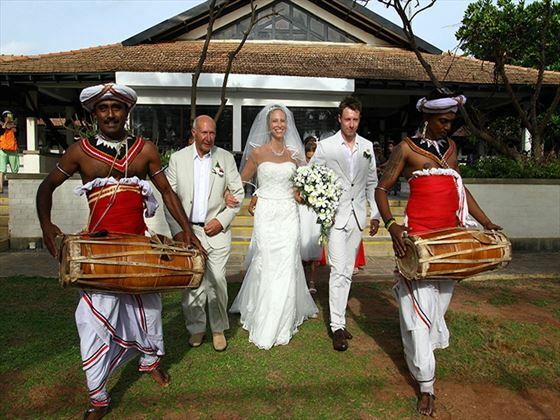 Picture the scene – traditional drummers in authentic, colourful costumes; fanfare fit for royalty; your loved ones celebrating as you tie the knot with your loved one. Weddings at Club Hotel Dolphin are a true occasion and a fitting way to begin your lives together. 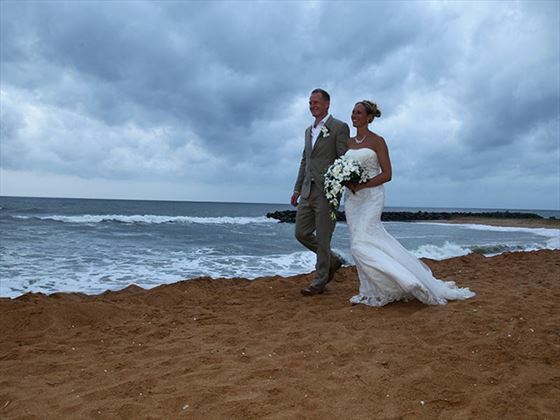 Situated on the sunny west coast of Sri Lanka, this is an exotic setting for the big day that’s surrounded by deep golden beaches and vast blue waters. 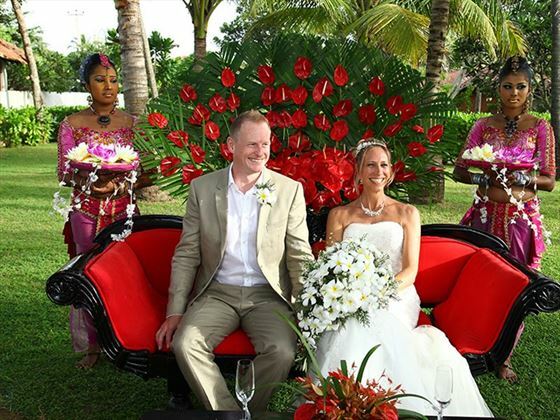 The wedding packages here includes the finer details, such as flowers, elaborate decorations, drummers, and even elephants, leaving you free to enjoy the day. We’ve partnered with our friends at the Club Hotel Dolphin to make your day, extra special. Why not indulge yourselves by booking a Superior Sea View room for 14 nights with any wedding package and receive a guaranteed room upgrade to a Superior Poolside Terrace. This exclusive offer is available year round and only available with Tropical Sky. What makes your special day perfect? Inviting your family and friends to stay at the same hotel as you turns a wedding abroad into a tropical event that you’ll never forget. We’ve partnered with our friends at the Club Hotel Dolphin to make your day, extra special.